There is always a first time for everything. And this time for me, it is with Swiss Chard! Good news is, what seemed like an exaggerated courageous move of buying something unknown resulted in a pleasant tasty surprise. Better news is, I am sharing it with you, so you can enjoy too..
As important vegetables were to everyday food at home, a variety of leafy greens were also a must (still is), many of whom I hardly know the English names for. So I grew up not only eating my greens but loving them too in different forms – simply sauteed, cooked with lentils, in special spice powders, chutneys, stews and what not! Even though there are many more leafy greens to Indian cooking than the only ever popular Spinach made famous through restaurant menus blistering with a single most common side dish – Palak Paneer, sparing the Spinach, Fenugreek and Dill, an occasional Amaranth is quite a luxury too, even on the fresh produce days at an Indian or world foods market here in the US. Notwithstanding the dearth of variety in Indian leafy greens, I had decided to seek some random solace in the locally abundant chlorophyll rich produce. Having been unfamiliar with most American leafy greens such as Kale, Collard greens or Swiss Chard, I had taken the easy route so far – simply avoiding them. 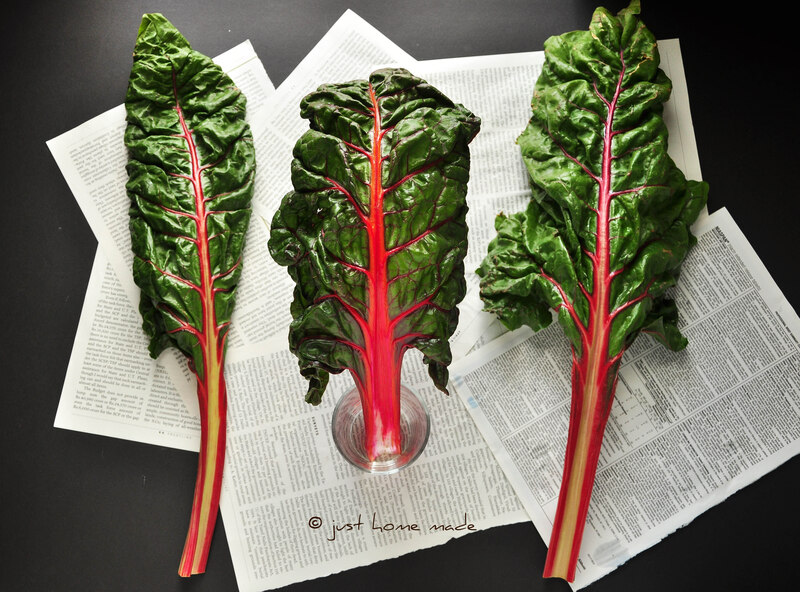 Until recently neither did I really show enough interest in the equally beautiful and nutritional Swiss Chard to bring it home and explore, nor did I have the tiniest clue that they are a cousin of the colorful beet root. Their vivacious bright red stalk and broad sheeny leaves must have made the calling for me, on the day I felt compelled to buy. Yes, I know the Chinese have their five spices too! 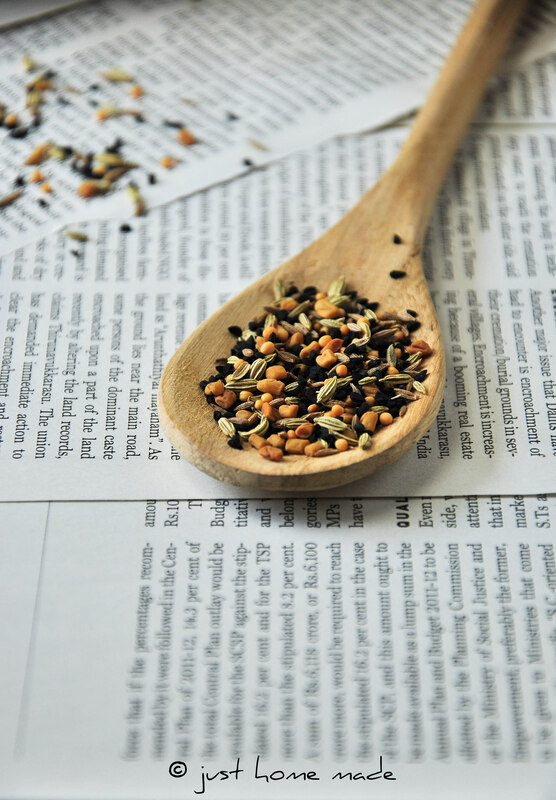 Paanch Phoron (pronounced as foran), which literally translates to Five Spices is a whole spice mix common in everyday eastern Indian cuisine, consisting of equal parts of Fenugreek seeds, Nigella seeds, Yellow Mustard, Fennel seeds and Cumin. Paanch Phoron is my latest obsession and I catch myself adding it to anything and everything possible from sides to chutneys. The aroma of the spices as they pop and splutter in hot oil has such an amazing effect on the olfactory system, that craving for more is not an option, but a must! Paanch Phoron Dal being a speciality in eastern India is the inspiration behind my version, where I include Spinach as well for known comfort. Though Swiss chard is almost invisible in the final appearance, it is much like butter that it makes its presence felt in taste, blended with the aromatic spices. Combine it with hot roti or steaming rice and a spoon of pure ghee for a comforting meal. I always wonder why I didn’t cook with Paanch Phoron earlier. Everything has its time, I guess. If you have never tried Paanch Phoron before, take this as your calling. I bet, you’ll be mesmerized as I am.. Hats off to whoever discovered the power of seasoning whole spices in hot oil! Soak tamarind in warm water and keep aside for about 15-30 mins, if using. Once soaked, squish tamarind into pulp. To properly wash the leafy greens in a food-safe way to get rid of pesticides, bacteria and germs along with mud and farm residue, add some baking soda to a big bowl of water; dunk the leafy greens and give a good scrub/rinse. Rinse again or several times in clean water until visibly clean. Pat dry on a clean kitchen towel. Chop swiss chard separating the stalk from the leaf. If you do not prefer to use the stalk, refrigerate for later use in another dish. Else, finely chop the stalk into thin slices and then the leaf. Roughly chop the spinach bunch. 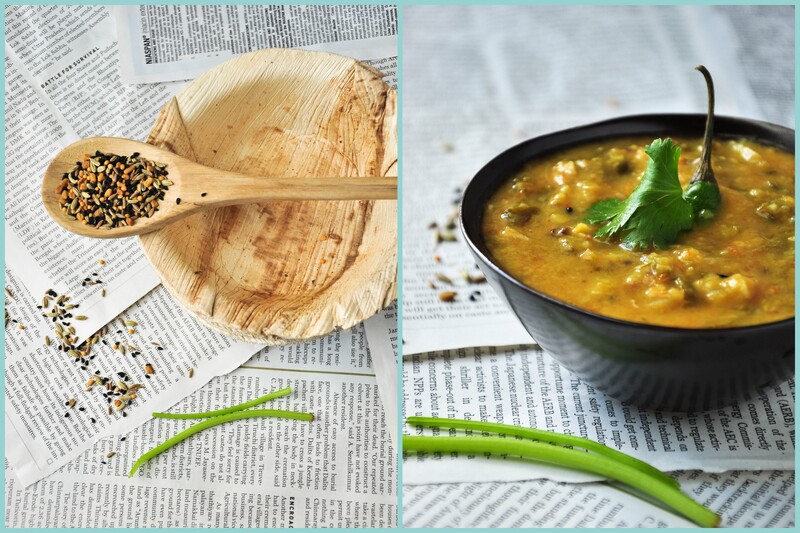 Cook lentilsWash toor dal and split yellow dal until water runs clear. Pressure cook the lentils with the tomato,turmeric and water enough and more to cover the lentils and tomato halves. When the cooker has cooled, whisk through the lentils and tomato to mash well for a uniform consistency. If not using a pressure cooker, cook the same in a pot stove top. Let the water come to a rolling boil and simmer partially covered until the lentils are soft and cooked or can be mashed easily. For the seasoning heat oil or ghee in a heavy bottomed saucepan on high heat. When the oil is hot enough or shimmering, add paanch phoron, reduce heat to medium and let the whole spices splutter and crackle. Add whole green chillies, chopped onion followed by turmeric and sauté until onion turns translucent. Add chopped leafy greens and sauté until soft and cooked. Add salt, red chilli powder, tamarind pulp if using and mashed lentil mixture and simmer to a slow boil, about 10 mins. Do not bring to a rolling boil for the risk of losing the flavor of the spices. Once done, cover and set aside. If not using tamarind, squeeze lemon juice after setting aside and stir well. Garnish with cilantro and serve hot with steamed rice and a spoon of ghee or fresh off the griddle Indian breads. Note: Some find it very convenient to use ready made concentrated tamarind paste, use smaller quantity in that case. Paanch Phoron is readily available in most Indian grocery stores or world food markets. If not, you could simply buy the five spices separately and mix them in equal parts. For best potency, be sure to store them in air-tight containers in a cool dark place. 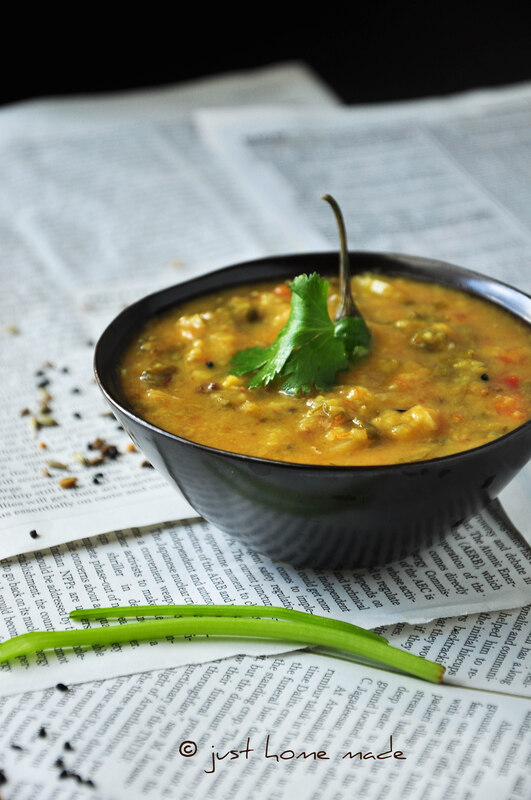 Your dal looks SO delicious and comforting, and bursting with flavour. I wish I could dive into a bowl right now! Pretty pics! Love the shot of the 3 chards. One bowl of ultimate goodness – lentils and greens! Gorgeous pics! I like how you added swiss chard to the daal. I’m always trying to incorporate more leafy greens in my diet and this sounds like a great way to do it! a bowl of comfort food beautifully captured! Panch Foron! One spice mix i can’t live without:) Chard is lovely and so is this dal. a beautiful comport food! 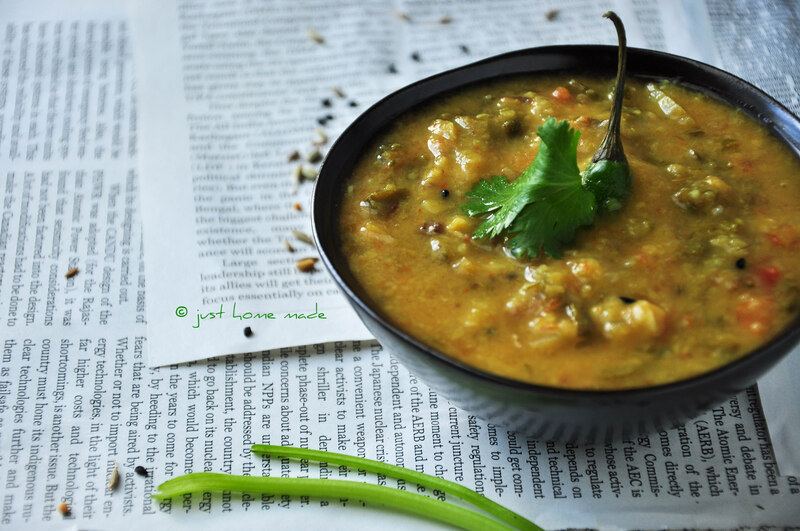 Beautiful looking dal with lots of flavor – I love that its health packed with all the chard greens. Panch Phoron is something me and even my bengali husband share a love- hate relationship with! Came form Kankana’s Radhika, only vegetation food dragged me here, your blog and pic is gorgeous. This summer i have been enjoying so much of vegetables, that i’m finding it difficult to get back to non-veg diet so I’m sure to enjoy ur recipes!! 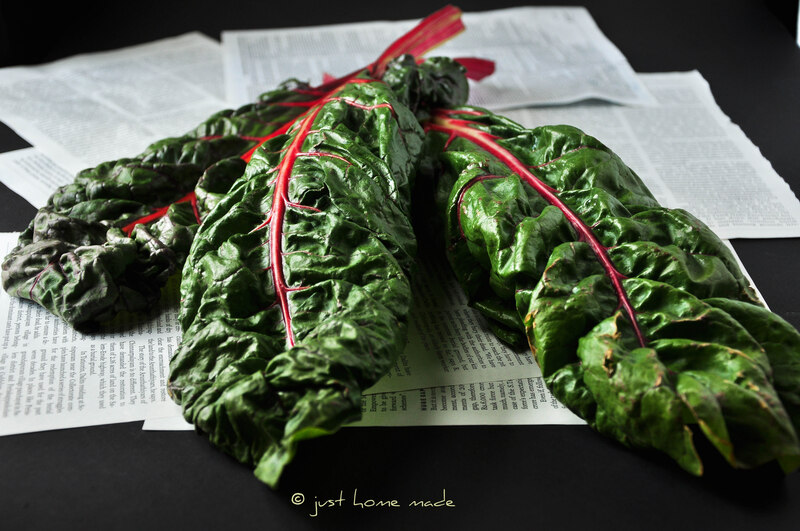 Your shots of the Chard look fantastic. One of my favorite greens, I use it in everything from smoothies to salads, and stews. Great recipe, thanks for sharing! That’s so awesome that you are sharing all you recipes… In English too! My sister just married an Indian and u got a small taste of Indian food and I LOVE it! I’m going to try to cook some of your recipes, thank you! Hi, the picture looks amazing and I’m sure the dish tastes great. Can you please tell me the Indian name for Chard. The leaves seem familiar, but I just can’t place the local name. Hi, Thanks for the recipe, the pictures look great and I’m sure the dish tastes amazing. Can you please tell me the Indian name for Chard, the leaves seem familiar but I jut can’t place the name.